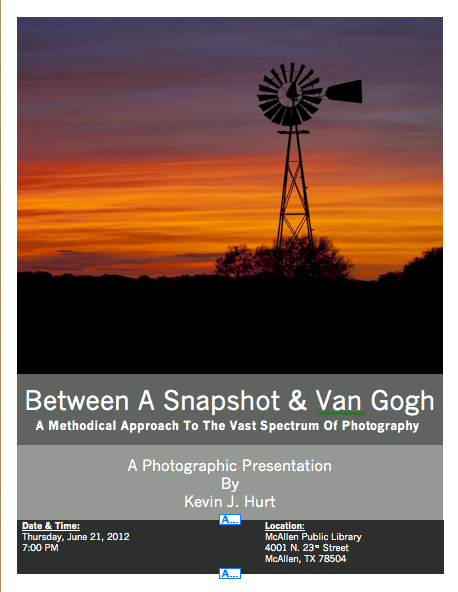 In this presentation I will share my systematic approach to a photo shoot and share practical advice that has helped me improve my photography over the years. The meetings begin at 7:00 PM, are held at the McAllen Public Library, and are open to the public. You do not have to be a member to attend but if you are interested in photography, you will find photographers of all skill levels (novice to full-time professional) who are friendly and happy to share their experiences to help you improve your skill level. Recently, my family and I took a vacation to Lake Tahoe, Nevada. It is one beautiful lake and a wonderful place to visit. It is also a fun place to photograph. While this was first and foremost a family vacation, I did manage to find some time to get out and photograph the beautiful landscape. On occasion, that meant dragging my family along some trail in search of the right shot. Being the troopers that they are, they went along without ever complaining. On this particular image, the trail was somewhat treacherous so I went at it alone. Photographing in the mountains is a very challenging endeavor as there is such a contrast between shadow and light. Over the lake, one side or the other will have a dark haze, depending on whether you photograph in the morning or late afternoon light. That haze causes a loss of detail across the mountain range and the water appears dark. However, what is most striking about Lake Tahoe is the clarity and deep rich blue/aqua colors. To get images showcasing these characteristics, one has to shoot in the late morning (10:00-11:00) or early afternoon (2:00-3:00). This presents its own challenges as the light is often harsher but it is in this light that one can capture the vibrant colors and clarity of the lake. It took me several attempts of trial and error to figure this out but fortunately I did. 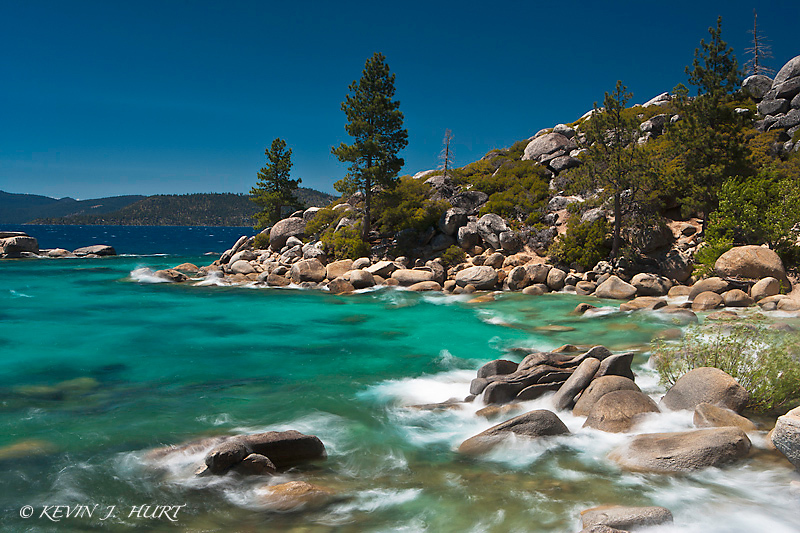 Lake Tahoe: Canon 1Ds MkII | 24-70/2.8 @ 43mm | ISO 50 | f22 | circular polarizer | 2-stop ND + 3-stop graduated ND filter. 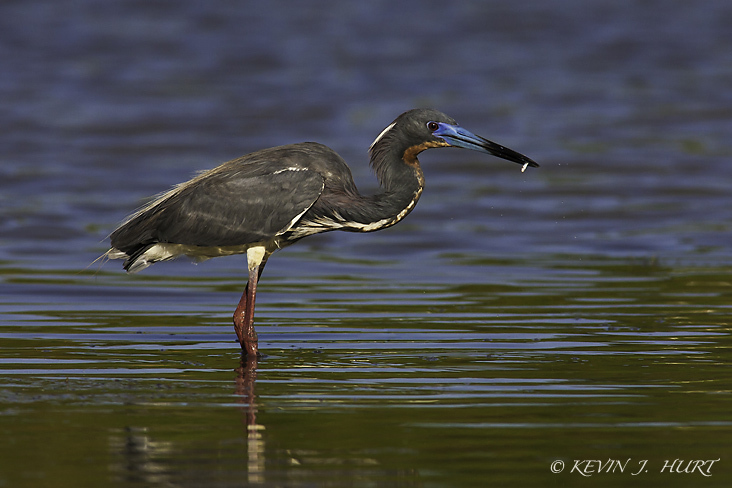 This tri-colored heron is easy to identify because it is the only dark colored heron with a white belly. I found this heron preying in the shallows at Estero Llano Grande State Park and as you can see in this photo, it was quite a successful fisherman. I had photographed in this location a few weeks earlier (see ImageSpotlight: Roseate Spoonbill) but my approach scared the birds out of photography range. This time, as I approached the pond I hid behind the cattails and draped a camouflage netting over my body. By doing this, I was able to slowly move from behind the cattails into an open area where I would be at a good working distance for my camera/lens combination. I made slow and deliberate steps so the birds would not spook. Some of them did move a little further away as I got settled into my spot; however, they quickly made their way back and I spent the next hour enjoying the show as the herons, ibis, and egrets foraged in the evening light. Tri-Colored Heron In Breeding Plumage. Canon 1DMkII, 500/4.5 | f10 | ISO 400 | 1.4x extender.